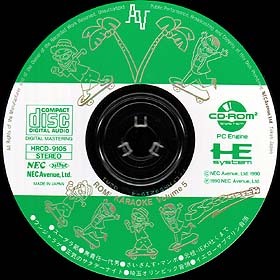 This is the fifth and last CD Rom from a series of five karaoke discs from Nec Avenue. This one is really similar to volume 1, mixing sprite animations and digitized pictures. 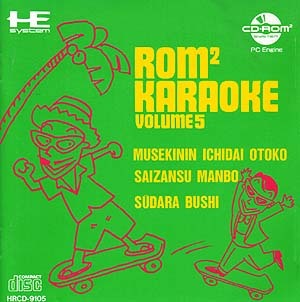 Rom² Karaoke Vol.5 also contains eight songs : Sudara Bushi, Musekinin Ichidai Otoko, Saizansu Manbo, Ganso Ieki Hakumade, Unjarage, Shoki No Satadenaito, Saitama Olympic Ondo and Yellow Submarine Ondo. This last version is also really good, the japanese version of Yellow Submarine is just excellent !